The IDC has 406 members from 89 countries worldwide, with 26 new members joining during the past year. Our International Advisory Committee is made up of 30 members of the IDC, who provide insight and strategic guidance to the IDC secretariat. 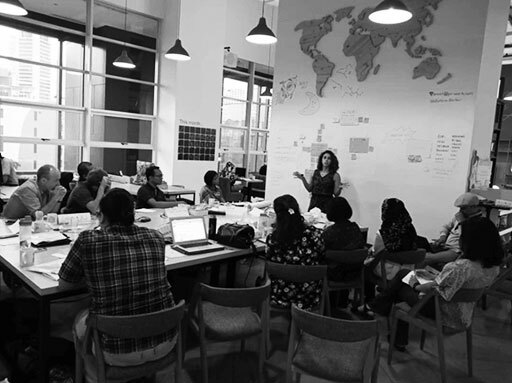 The majority of our members are small to medium size grassroots organizations, spread across the Americas, Africa, Asia Pacific, Europe and the Middle East. Our members have a wide range of focuses, from service provision and individual legal aid, to research, reporting and advocacy. IDC Members in Indonesia discuss a collective strategy to reduce child immigration detention. Jakarta, Indonesia. June 2018.